Sharlisa is an Associate Marriage and Family Therapist (AMFT) in the State of California, practicing as a therapist and Certified Professional Life Coach in Morgan Hill and San Jose. Her education and professional background in both the mind and the body gives her a unique and effective approach to counseling. Sharlisa works to provide clients with tailored treatment plans that can be integrated into their daily lives. Prior to becoming a therapist, Sharlisa was a Parent and Community Specialist for East Side Union High School District, where she provided support, therapeutic services and resources to families throughout the community. Sharlisa works with adults, teens, tweens and families. She also counsel couples in all stages of relationships. Sharlisa works with divorced and single parents, blended families and sees people of every race, ethnicity, and sexual orientation. Sharlisa views herself as a manufacturer of hope and healing. Outside of private practice, Sharlisa has worked as a therapist in a number of non-profit integrative community based agencies as an Associate Therapist. She has experience treating children, adolescents, and adults with diverse backgrounds and ranges of concerns. 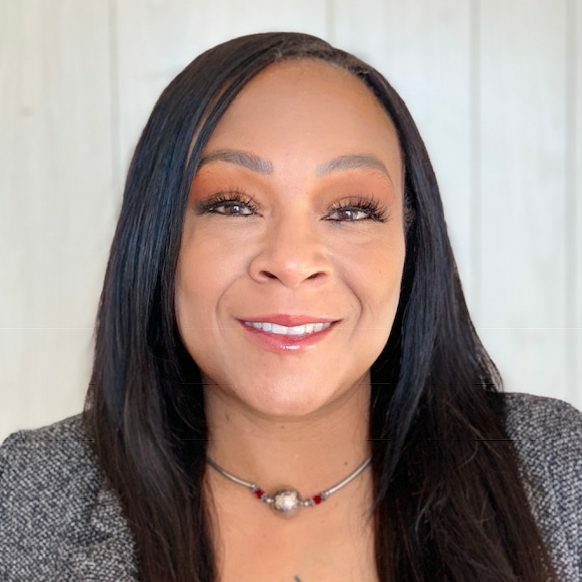 Sharlisa has training in integrative, cognitive-behavioral, internal family systems, mindfulness therapy as well as Trauma Informed Care from The California Center of Excellence for Trauma. She is a family systems, person-centered therapist. And shecon tinues to educate herself by attending national and local conferences, keeping up with current therapy research, and seeking supervision.